Single-handle Glacier Bay shower faucets have a cartridge inside the handle that regulates water flow. If you experience a problem with the faucet, replacing this cartridge solves the issue. It fixes leaks, poor temperature response, even a drop in water pressure. This is a common way to repair any faucet in the home today and it works especially well on all Glacier Bay cartridge-style models. 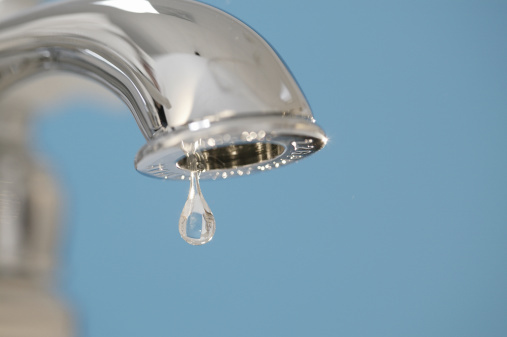 Shut off the water in the home by closing the main water lines, usually located next to your water heater or near the street. Turn the valve completely clockwise to close. Take off the handle to the Glacier Bay faucet by unscrewing the set screw beneath the handle and lifting the handle off the base of the faucet. If there's a plastic cap covering up the screw, pry it out with a pair of pliers or screwdriver. Remove the faucet trim by unscrewing the mounting screws with a screwdriver and pulling the trim off the shower wall. If your faucet trim is caulked to the wall, cut the caulking bead with a razor to remove it. Remove the trim sleeve around the body of the faucet by unscrewing it with a wrench or pliers. If there's a bonnet nut on the faucet, unscrew it with the wrench. Pull the disc cartridge out of the faucet body and insert a new one in its place. Replace the trim sleeve or bonnet nut and tighten with the wrench. Replace the faucet trim and handle. Tighten the set screw and trim screws.